Each January, around 60,000 Humpback Whales leave the frigid, food-rich waters of Antarctica and begin the world’s longest mammal migration, a 5,000 kilometre, three-month journey to the warm waters of northern Australia where they mate, calve and nurture their newborns. Around 25,000 of them diverge around Tasmania and head up the east coast of Australia to Hervey Bay in Queensland. The other 35,000 or so travel up the west coast of Australia as far as Broome and the Kimberley. Australia’s Humpback Whale population has increased from an estimated critically low 200 animals when commercial whaling ceased in the 1960s to around 60,000 – and is increasing at around 10 to 11.5 per cent per year. 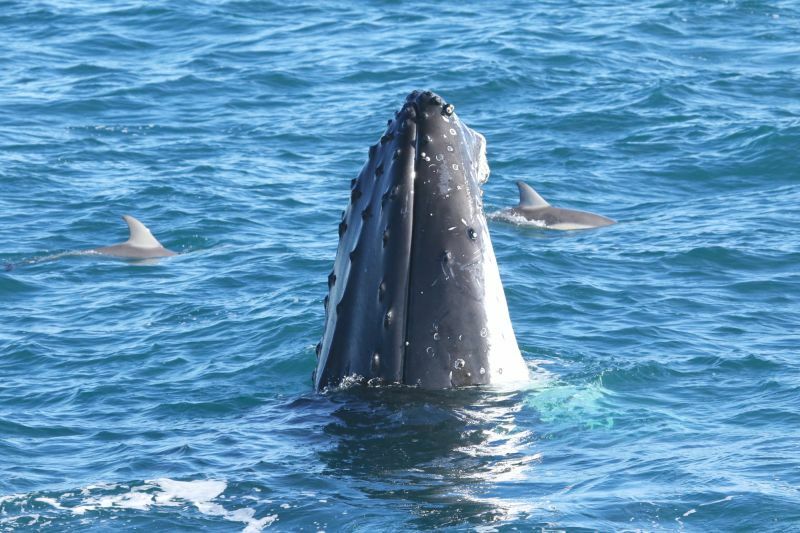 Mikala Peters, marine biologist and crew with Wildlife Coast Cruises in Phillip Island, Victoria says the increase in sightings has been dramatic. Our previous record was 150 whales in eight weeks in 2015. In 2018 we saw around 450 in the same period.” Whales start appearing around Phillip Island in May: mostly pods of two to five adults or sub-adults travelling north in ‘pulses’, a few kilometres apart. Further north, the first sightings off Sydney are often cows with yearling calves. 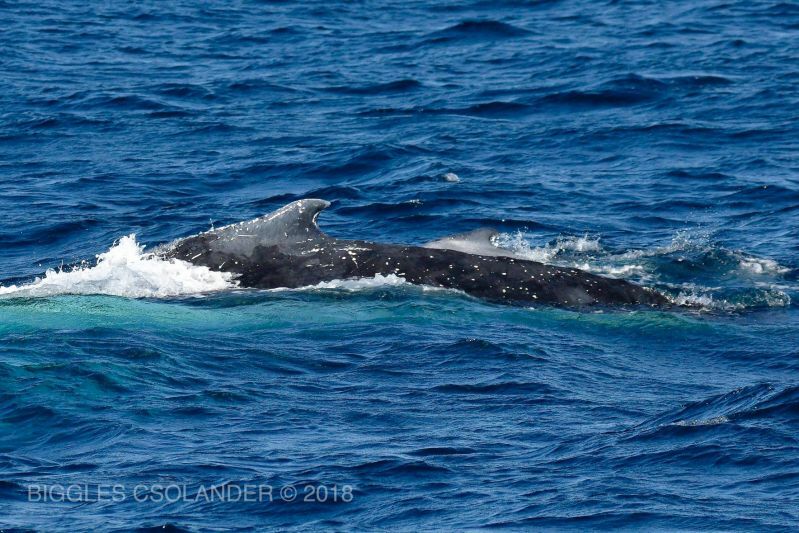 “We’re also seeing more newborns on the northern migration, so cows are giving birth outside of their normal breeding grounds and season, though the reason is unclear,” says Biggles CSolander, naturalist tour guide with Oz Whale Watching. By the time the last few whales are passing Sydney on their northerly route, the first are returning south. We see more of the big bulls on their southerly trek, as they come closer to shore,” says Biggles. “When you see a really big one at 16 or 18 metres, it takes your breath away! Mothers and calves swim more slowly and need longer to make the journey back to Antarctica. At the southern tip of Australia’s west coast, Cape Leeuwin is the whales’ first west-coast resting point after Antarctica on their northern migration. At the beginning of the season, we see competition pods of between six and 12 males pursuing a single female in oestrus,” says Paul Cross, owner of Naturaliste Charters. The bulls can be seen fighting to win the cow’s attention – and it has all the delicacy of a rugby scrum, with tactics ranging from ramming their opponent side-on; head lunging; and slapping one another with their enormous pectoral fins. The mature adults are followed by the ‘teenagers’ and pregnant females. By the third week in May – the start of the whale watching season - the first pregnant females arrive in Exmouth, 1,500 km north of Cape Leeuwin. Some stay and others head further north to Camden Sound and the Kimberley. They begin calving and mating, using the reef for protection from predators. The calves are around four metres long at birth and three months later they’ve grown to eight metres, consuming around 250 litres of their mother’s milk per day. Meanwhile, their mothers haven’t eaten since leaving Antarctica, so by September, when the calves are strong enough, it’s time to head back south. They stop to rest in the calm waters of Exmouth Gulf, up to the end of October. “There are so many whales breaching and fin-slapping it’s hard to know where to look,” says Mark Ferguson, owner of Exmouth Dive and Whale Sharks Ningaloo. Their last resting place before the long crossing of the Southern Ocean to Antarctica is Geographe Bay near Cape Naturaliste. 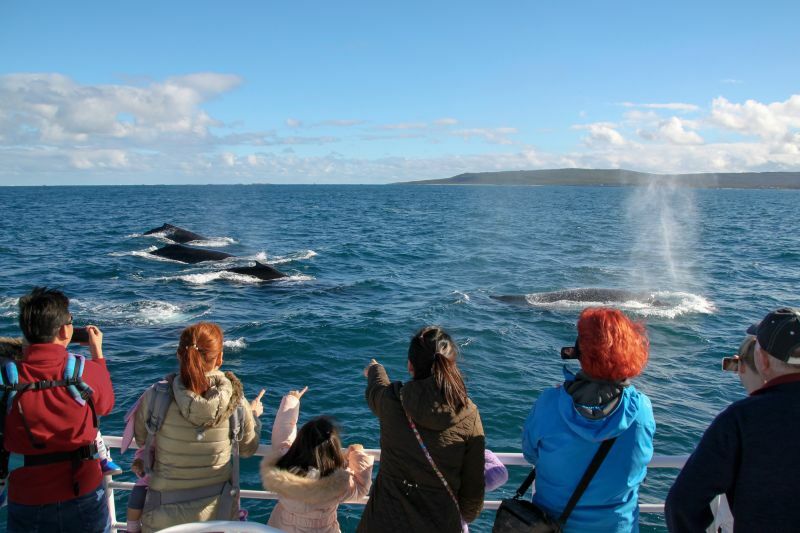 Naturaliste Charters moves its operational base from Cape Leeuwin to Geographe Bay between September and early December to take advantage of the whale watching opportunities. They see immature males travelling together and pregnant females, in a hurry to get south and feed for the first time in six months. The mothers and calves stop to rest at Cape Naturaliste, drifting to conserve energy and taking shelter in the protected waters. Saved from the brink of extinction 50 years ago, the Humpbacks’ is one of the world’s greatest wildlife conservation success stories. And as the population approaches pre-whaling levels, the future of one of nature’s most extraordinary migrations looks assured. 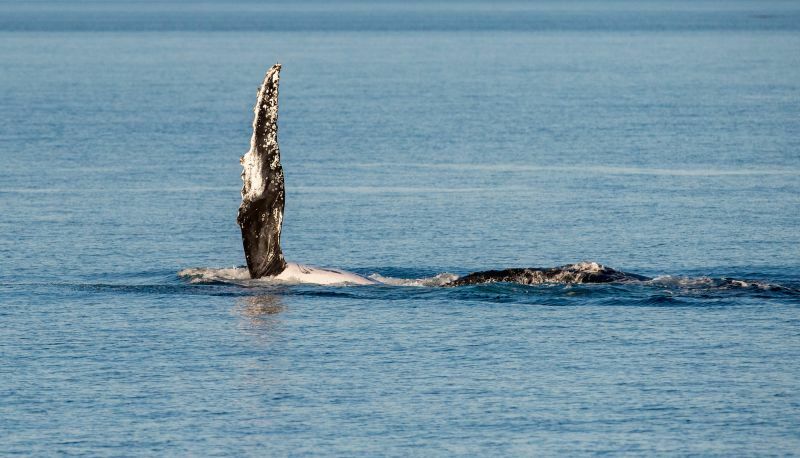 Search for your next Humpback Whale Watching adventure here!